Claire Penicaud is Market Intelligence Manager for the Mobile Money for the Unbanked (MMU) Program at the GSM Association. In this role, Claire leads the design, data gathering and analysis of GSMA’s Mobile Money Adoption Survey, and ensures that MMU maintains its role as a knowledge hub for the industry by efficiently identifying and sharing mobile money intelligence. 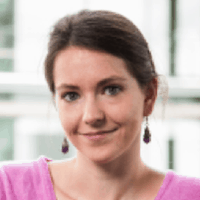 Prior to joining the GSMA, Claire worked as a consultant at Hystra Consulting and spent a year doing research on mobile health at INSEAD’s Social Innovation Center.